The Largest Ever Deployment of Air Assets in a West-African Conflict. 12 Mil MI-24 Helicopter Gunships. 6 Mil MI-35 Hind Attack Helicopters. 11 Light Attack Alpha Jets. Super Puma Multi role Helicopters. 4 CH-3 Rainbow Attack Drone. 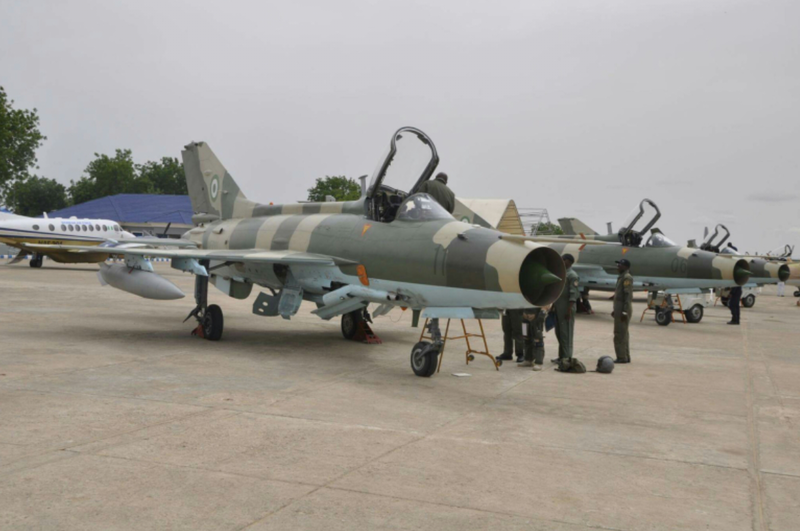 The Nigerian Air Force had flown more than 420 sorties over Northern Nigeria since the air campaign against Boko Had an was ramped up in 2015. The number of strikes increased many folds as Nigerian ground forces advanced to reclaim the Sambisa forest, a 66,000 km fortress nearly twicr the size of Scotland, striking key locations and assets as much as 16 times a day. 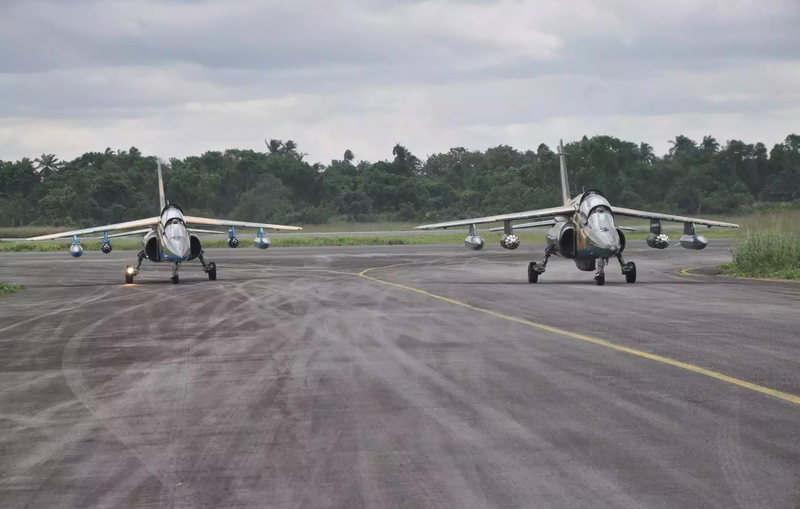 From subsonic light attack Alpha jets to supersonic F-7N interceptors to Mi-24/35 helicopter gunships to CH-3 Rainbow attack drones, the NAF used practically all the combat capable aircraft in its inventory to meet the deadline given by President Muhammadu Buhari to dislodge the Jihadi group from their last major stronghold. 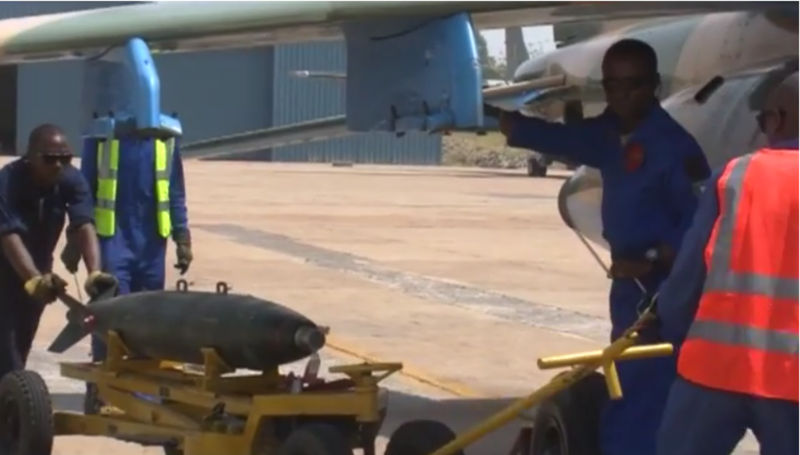 Even the L-39, an aircraft used to train pilots was reconfigured to carry bombs and rockets by NAF engineers. During a State visit by members of the Royal Defence College of Britannia to Nigeria to study Nigeria’s winning strategy in combating Boko Haram, the head of the delegation commended and expressed admiration of the successful intelligence, surveillance and reconnaissance missions flown by the NAF and the ability to integrate it into a effective strike component, destroying Boko Harams operational,logistical and supply camps, effectively turning the once dreaded Jihadi group into nomads, always on the run with ground forces chasing after them. But what aircraft carry out the most sike missions? 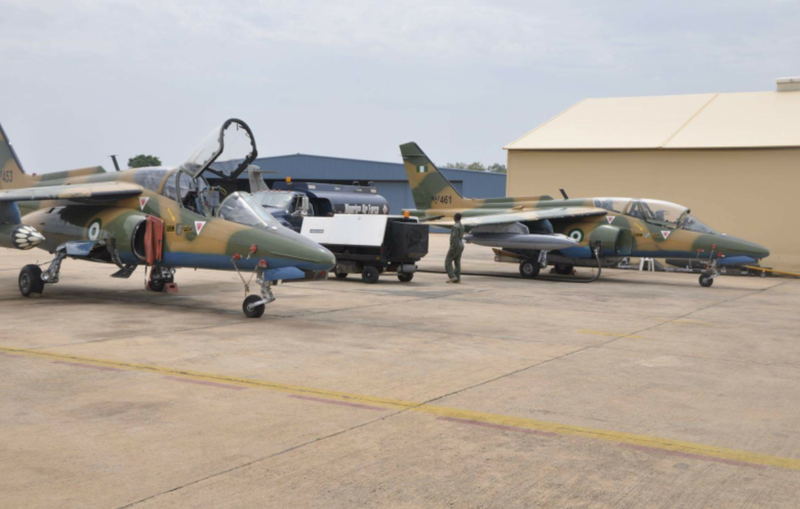 What aircraft have been most instrumental in utilising air power to turn the tide of the eight year campaign against Boko Haram? 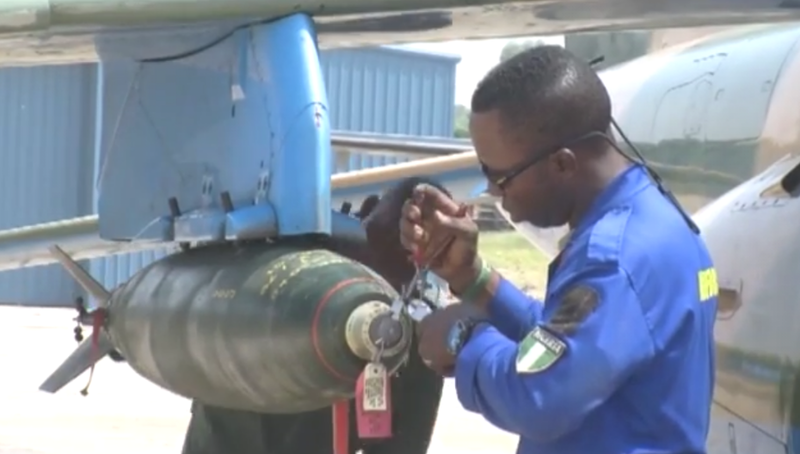 The Most Extensive Air Campaigne in the History of the Nigerian Air Force. 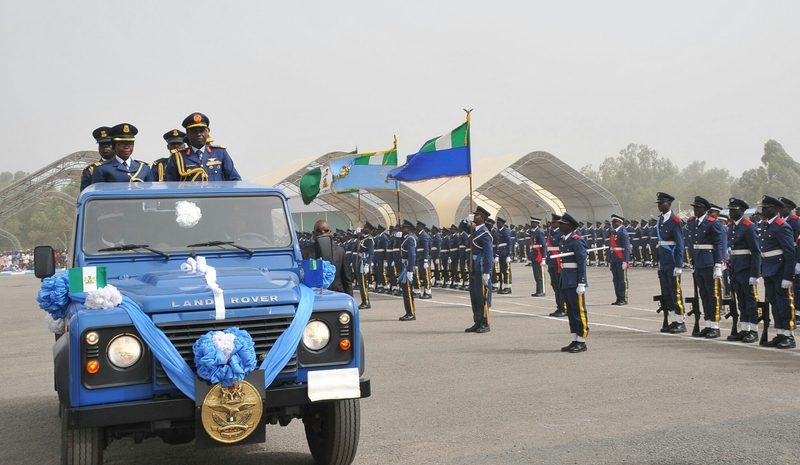 Nigeria’s Chief of Air Staff Abubakar Sadique during an Air Force Parade in Abuja. 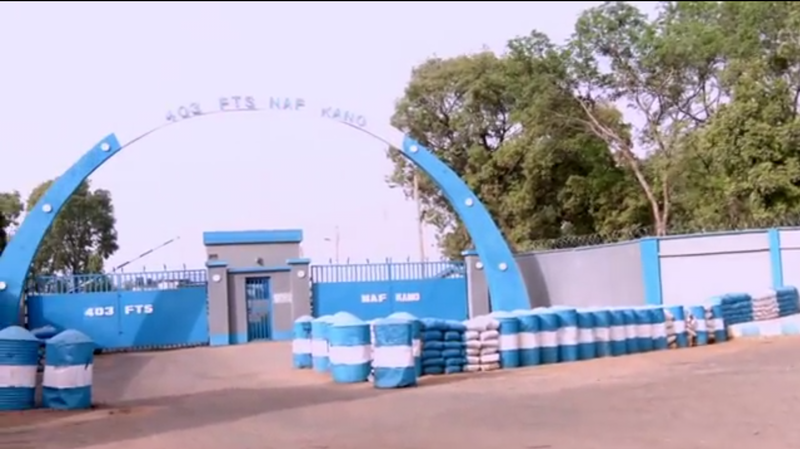 Members of a fundamentalist insurgency infamous for its terrorist attacks and kidnappings of young girls, the fighters had recently been chased out of their camps in Sambisa forest by an African multi-national task force. As the African forces advanced north in pursuit, the Boko Haram fighters had prepared a road-side ambush under tree cover. Two of their trucks were armed with heavy machine guns. The distant whine of small airplane engines sounded overhead. An unarmed civilian plane flew by. 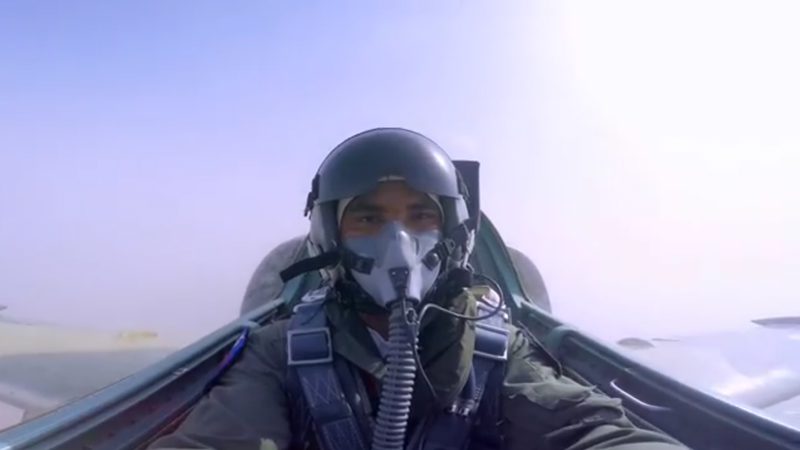 Then suddenly, a small twin-engine fighter — an Alpha Jet — came screaming over the horizon. 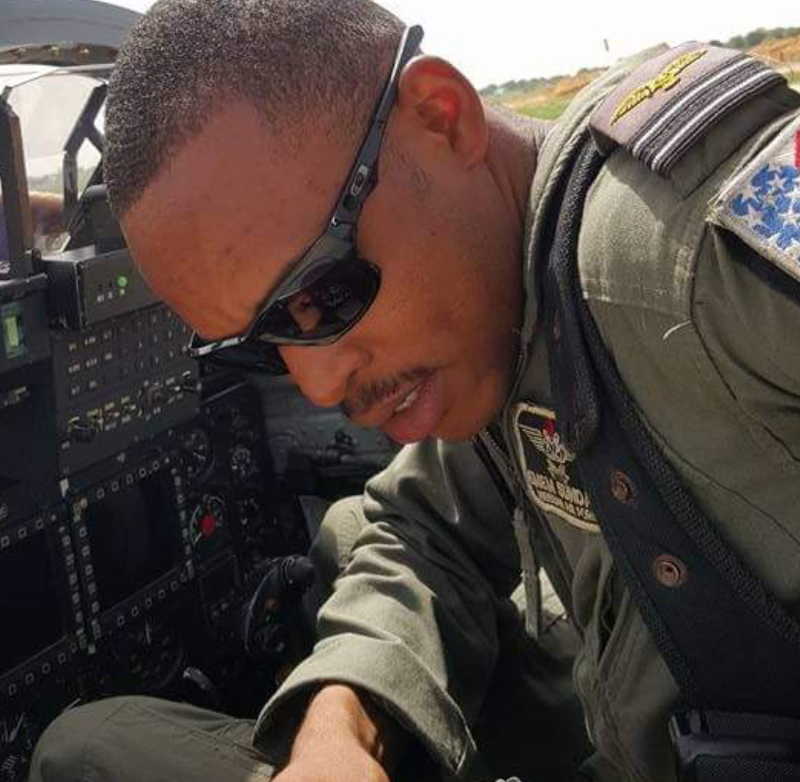 Radioed the position of the Boko Haram fighters by the unarmed plane — actually a King Air 350 surveillance aircraft — the Alpha Jet unleashed a barrage of rockets on the concealed ambush, followed by 250-pound bombs and strafing runs. The Toyotas were all destroyed and the ambush force thrown into chaos. Nigerian ground forces followed close on the heels of the jet and chased off the survivors. They counted 15 bodies and two abandoned rocket-propelled grenades. One of the first executive action taken by Nigeria’s new President Muhammadu Buhari was to fire the Chief of Air Staff Alex Baddeh and appointed Abubakar Sadique as Nigeria’s new Chuef of Air Staff. 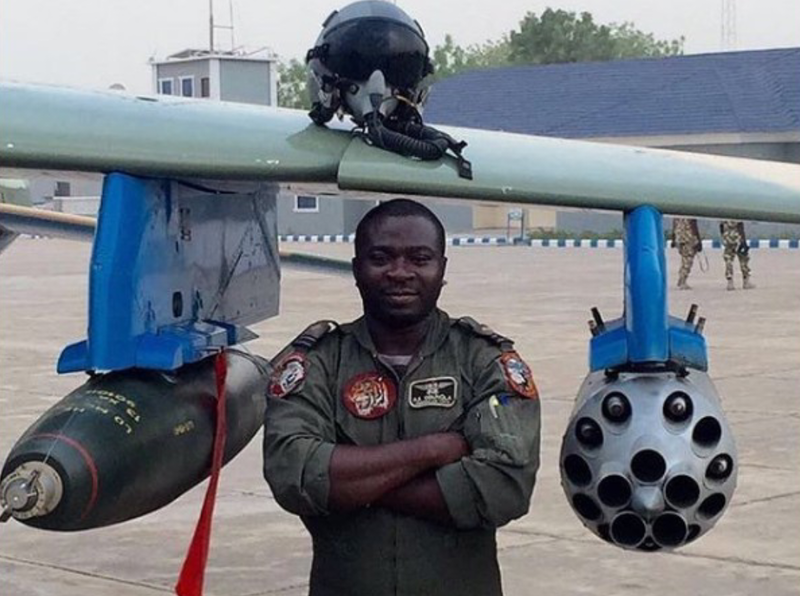 This proved to be the turning point in the Nigerian Air Force. 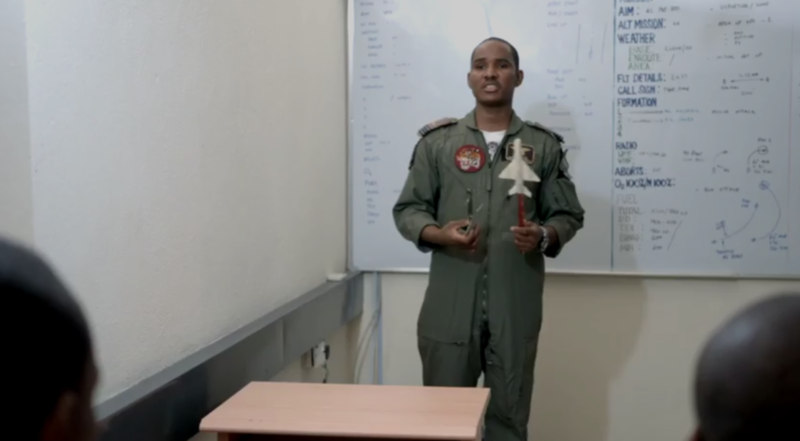 One of his first task was to review the problem with the Nigerian Air Force performance against Boko Haram and recommendations for breaking down goals and tasks into effective operations and playing these methods into an asymmetric battlefield. An over reliance of a system focused on outdated tactics while perfect in a conventional battlefield environment with fixed rigid targets and mass combat forces, was completely useless against a highly mobile unconventional enemy. Timely information was the key. The reason for this over reliance is easy. percentage of tasked targets collected and number of sorties flown are obvious, easy to measure and require no extra effort to pull off. Boko Haram doesn’t mass itself in a manner where you could actually send an armada of jets to carpet bomb them to oblivion. That’s tactic that is not effective against the assymetric battlefield of today. He came up with strategies that wil enhance information gathering on enemy movements in real time. 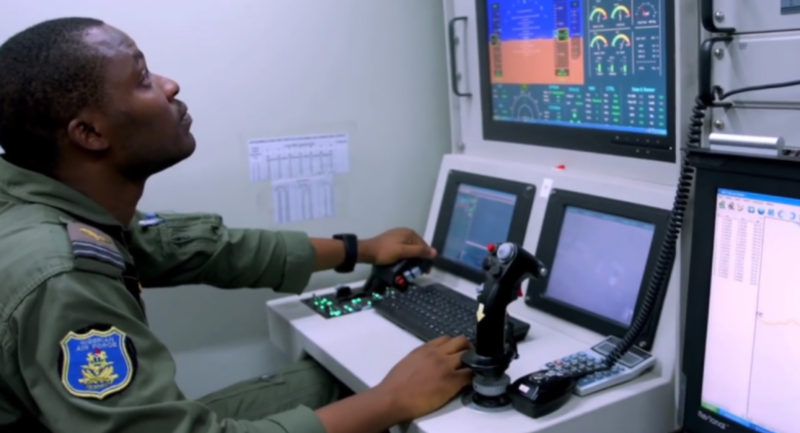 He set up a Reconnaissance Squadron to conduct daily sorties to not only collect information on enemy activity but to act as force protection, providing indications and warnings of Boko Haram attacks. It’s simple. 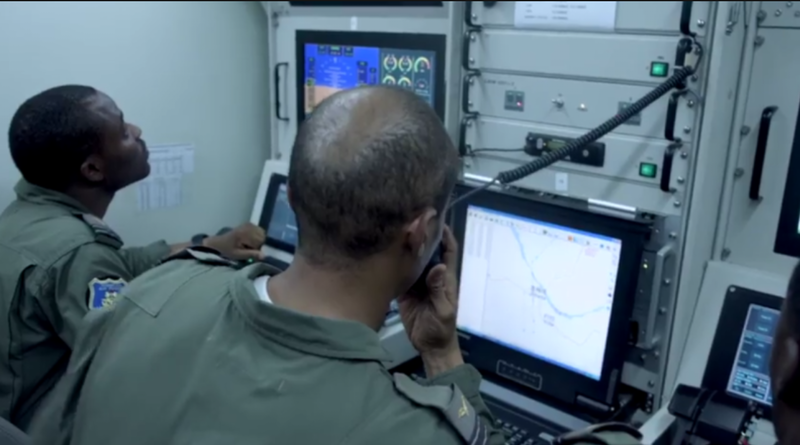 Any target that’s spotted by ISR planes is analysed, after which they will select the type of weapons and the number of ordnance to make sure that its gong to be a first look, a successful strike that neutralizes that target with minimal number of aircrafts. Preceding most strike missions are Reconnaissance sorties. 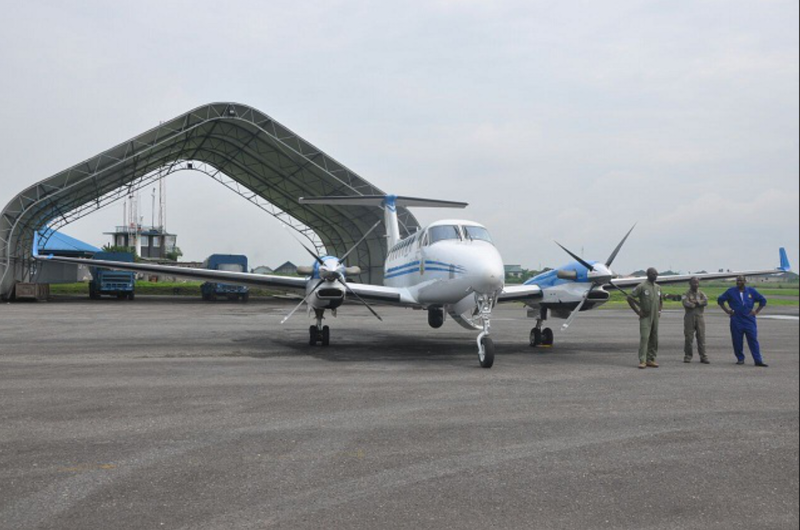 For ISR missions Nigeria relies on its fleet of surveillance planes. 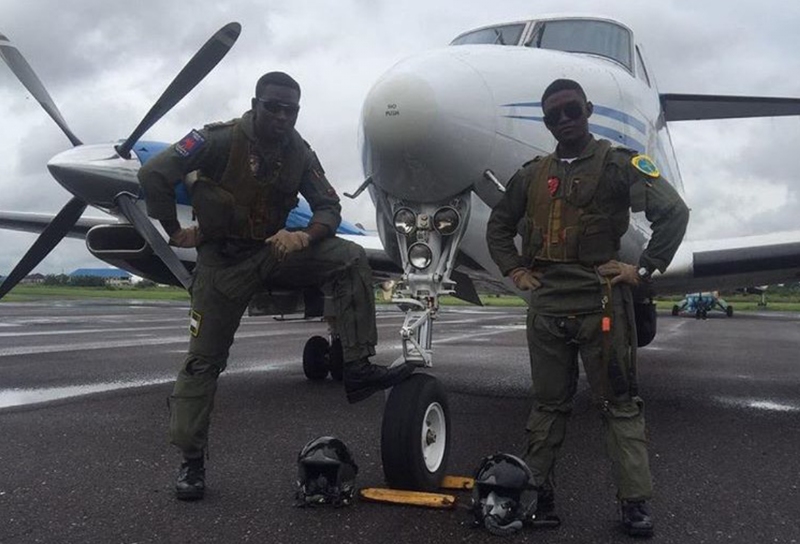 Pilots from the NAF Reconnaissance Squadron poses for a photo with a King Air 350i surveillance plane behind them. Pilots running take off checklists. A King Air 350i plane taxies for take off. 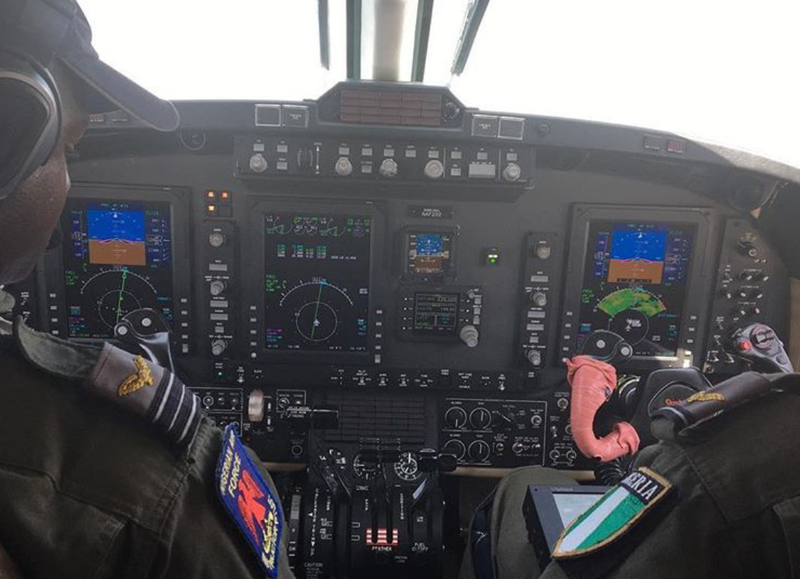 Originally acquired to patrol Nigeria’s oil fields in the Niger Delta and Nigeria’s vast offshore oil terminals, the Italian built surveillance aircraft have been used extensively against Boko Haram In Nigeria’s North East. 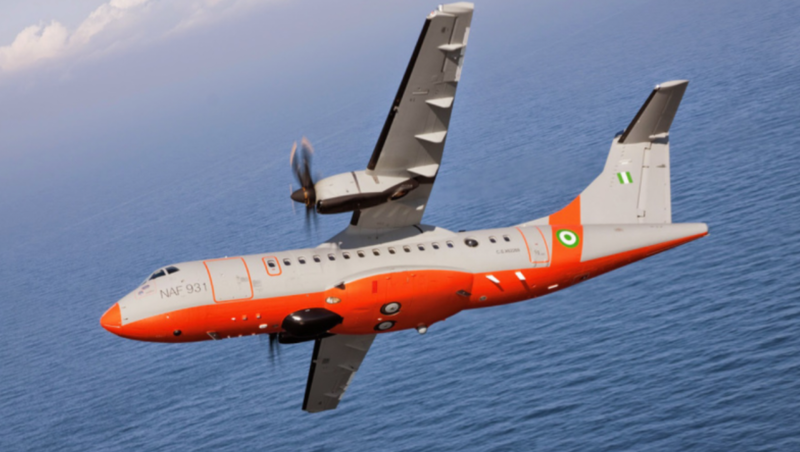 The ATR-72 is Nigeria’s primary aerial reconnaissance asset. 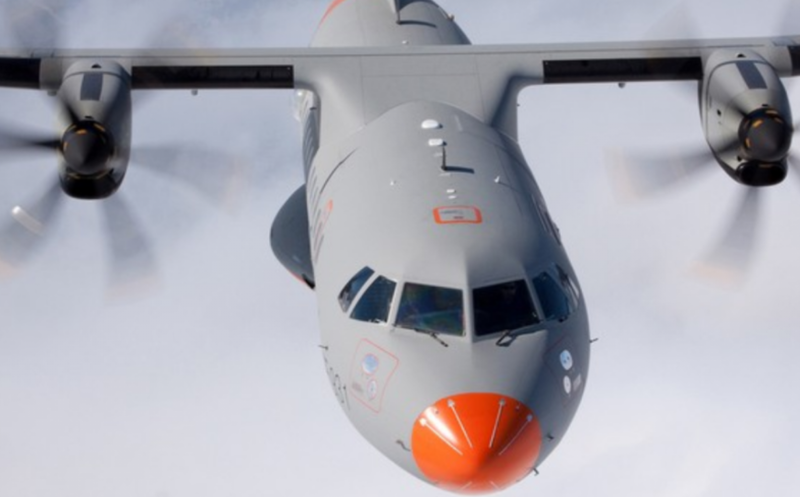 A NAF ATR-72 flying over the Atlantic. An ATR-72 assigned to the NAF Reconnaissance Squadron taxies for take off on a strike mission. Behind it is a KingAir 350i surveillance plane. 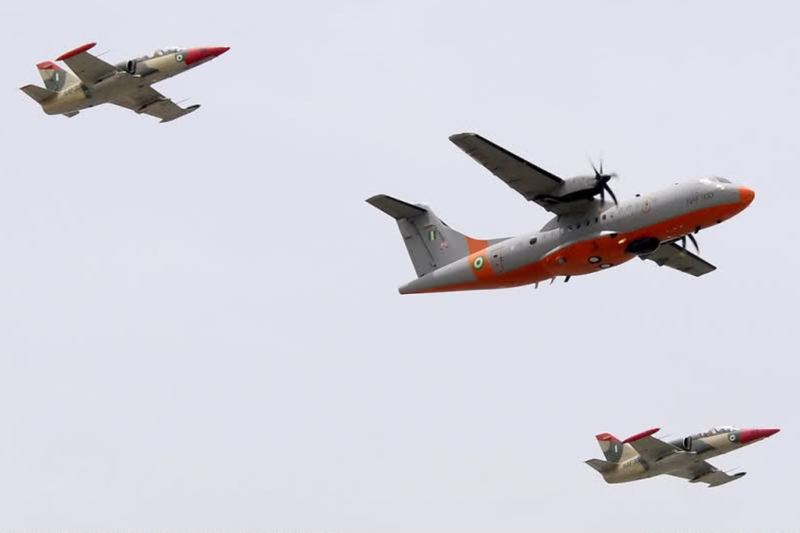 ATR-72 patrol plane flanked by two L-39’s . 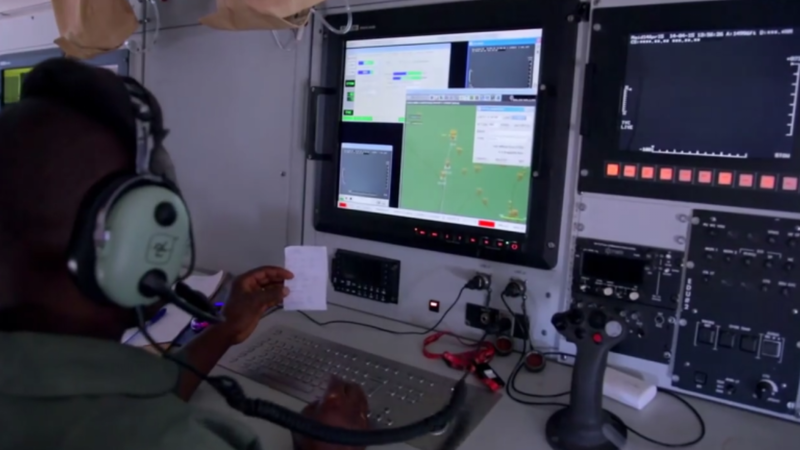 The crew of the ATR-72 collects vital information and relays it to ground forces and command centres. 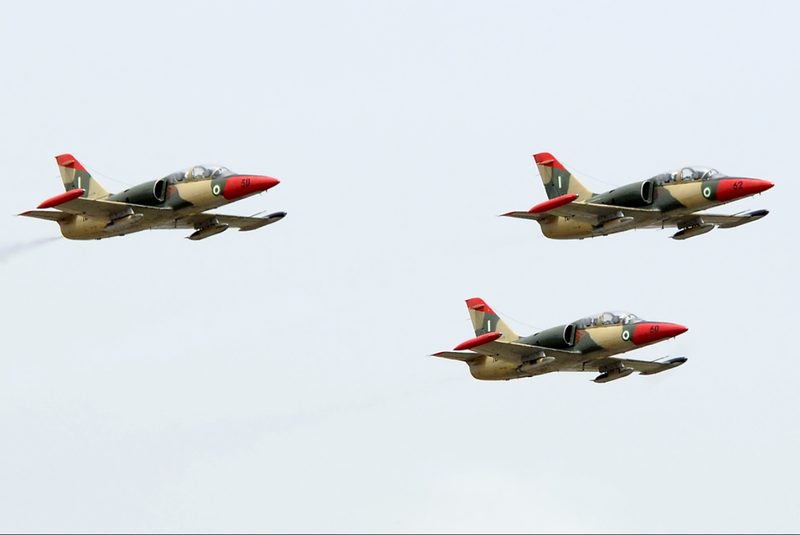 The Alpha Jet can lay claim to the title for the Nigerian combat aircraft to release the most ordnance. 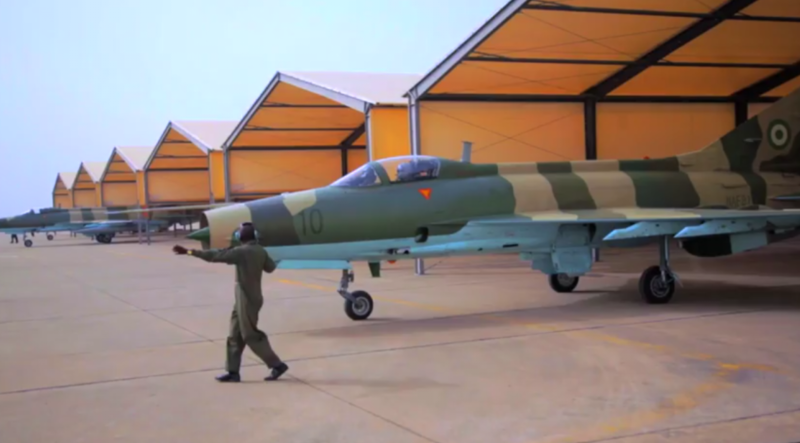 Originally a training aircraft with light attack capabilities, this low tech aircraft had dropped %70 of the NAF bombs on Boko Haram targets. 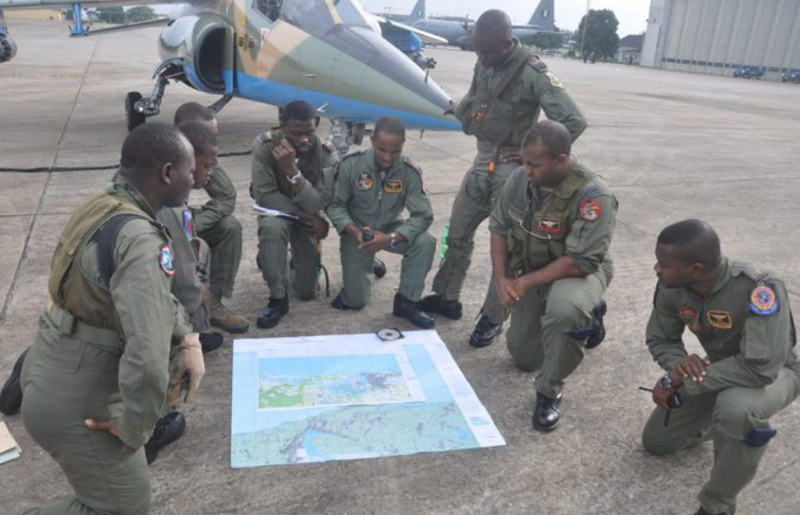 Alpha pilots from the 72 Strike Group Yola review mission plan on the tarmac of an airbase. 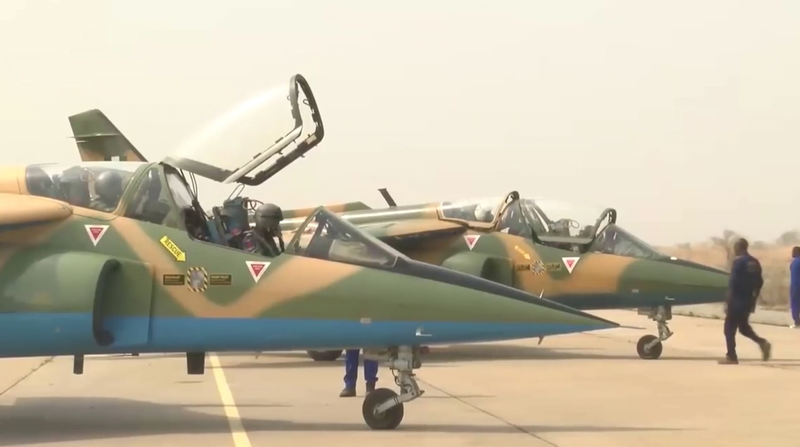 A pair of Alpha Jet from the 75 Strike Group Yola taking a drink in preparation for flight. 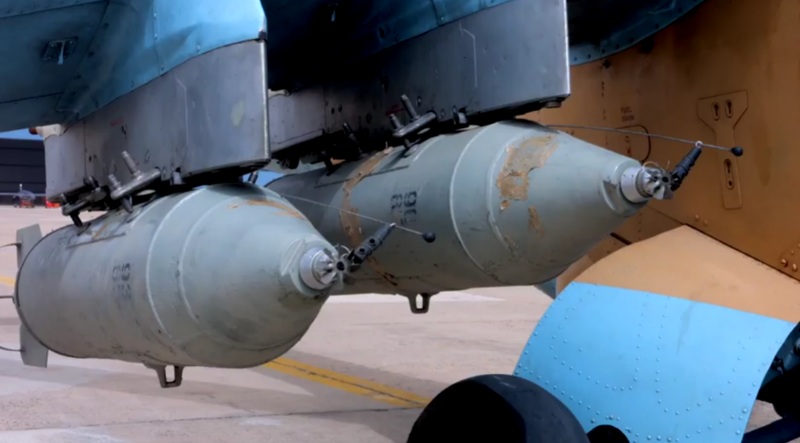 Ground crew loading 250 pound bombs on an Alpha Jet. Ground crew loading 250 pound bombs for Alpha jets. 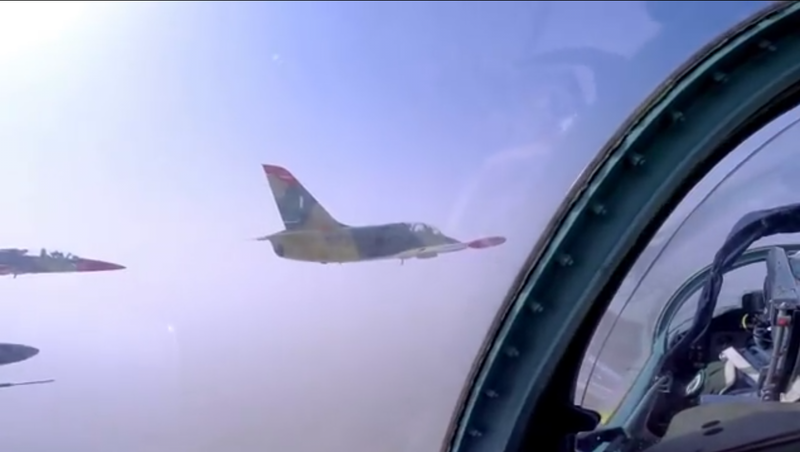 Alpha Jet pilots man their aircraft during combat operations. A pair of Alpha Jets taxi towards takeoff from the Port Hacourt Air Force Base. 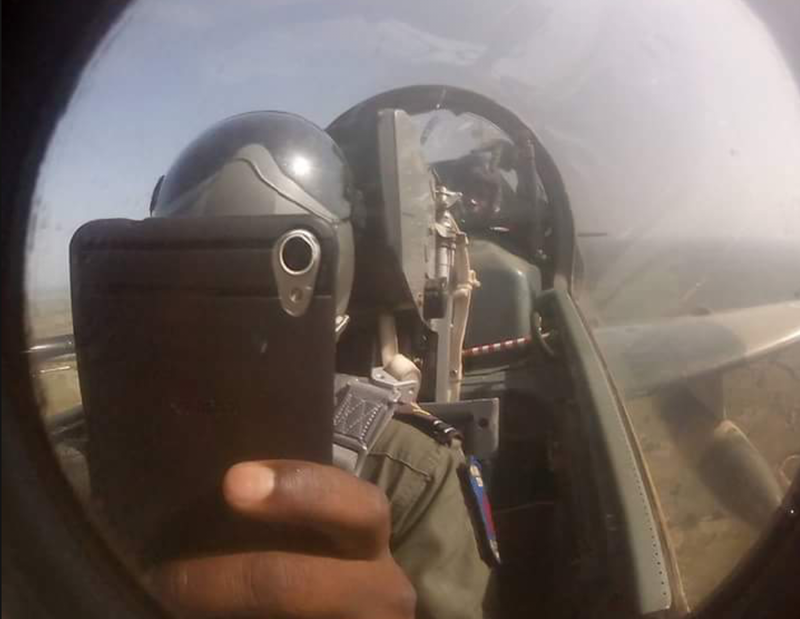 An Alpha pilots takes a selfie. 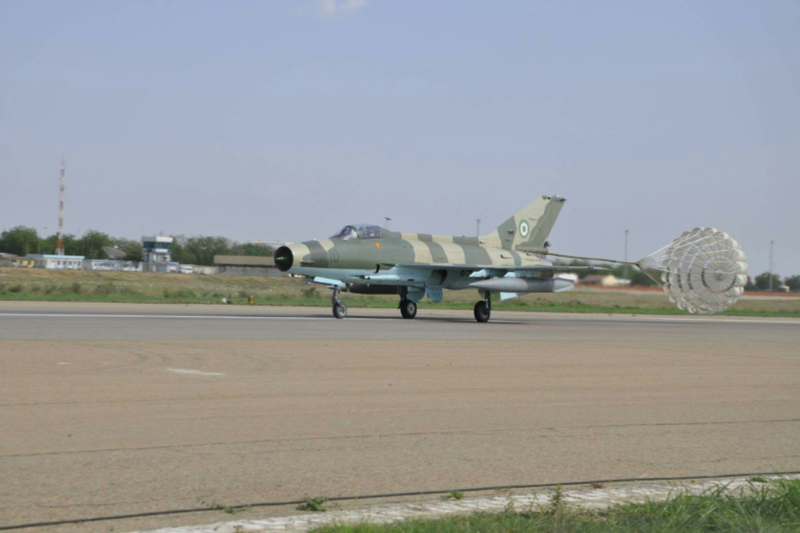 The Nigerian Air Force uses six F-7N jets for its mission as part of the Air Component in the war against Boko Haram. The F-7N flies fewer sorties and drops much less ordnance than other strike platforms. An F-7N Chengdu Airguard and its compliments of weapons displayed at an Aircraft Exhibition. 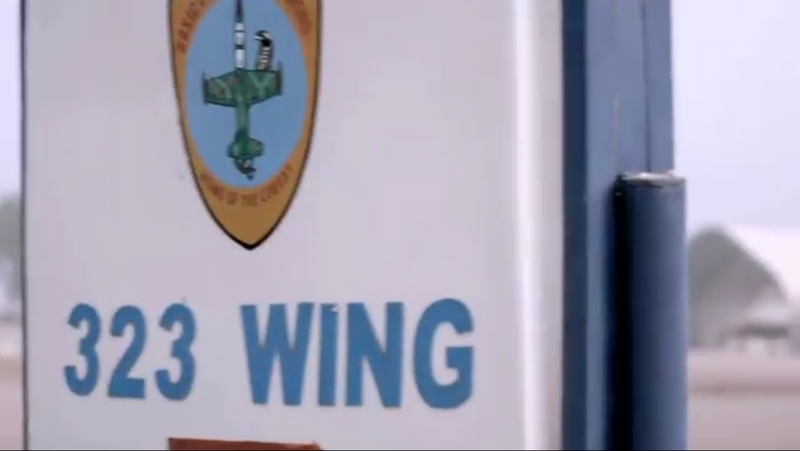 The weapons displayed are the PL9-C Air to Air missiles, 250 pound bombs, 500 pound bombs and rockets. An F-7N deploys break chutes upon landing. Ground crew getting the F-7Ni prepped for flight. 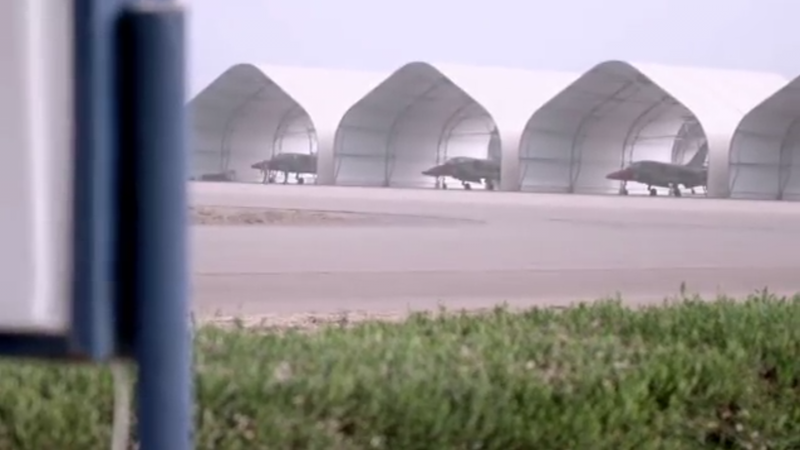 Three F-7N’s lined up on an airbase getting prepped for a combat mission. 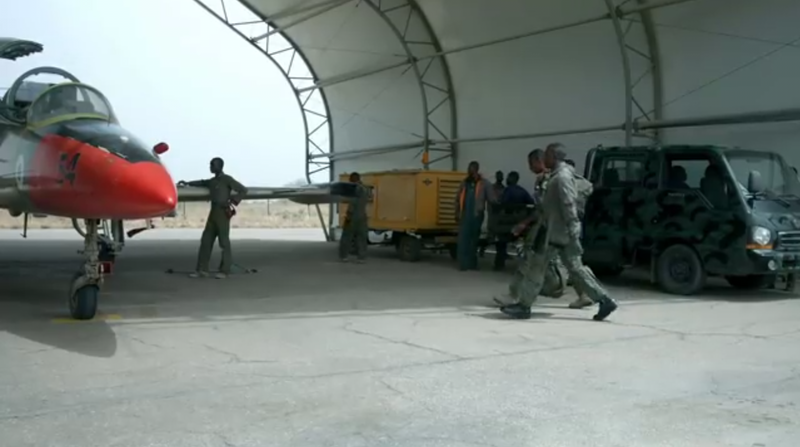 F-7N’s assigned to the Tactical Air Command, Maiduguri exit their hanger. 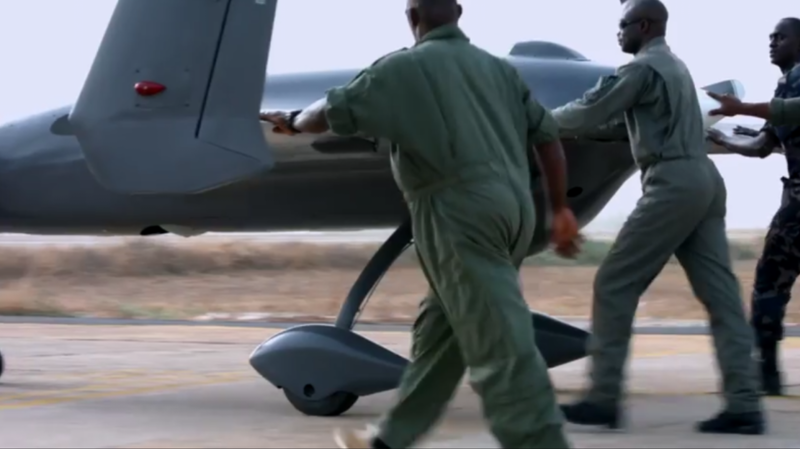 The Nigerian Air Force is using five combat capable unmanned aerial vehicles for its missions in support of the war against Boko Haram. Of the five deployed, one was lost to attrition. 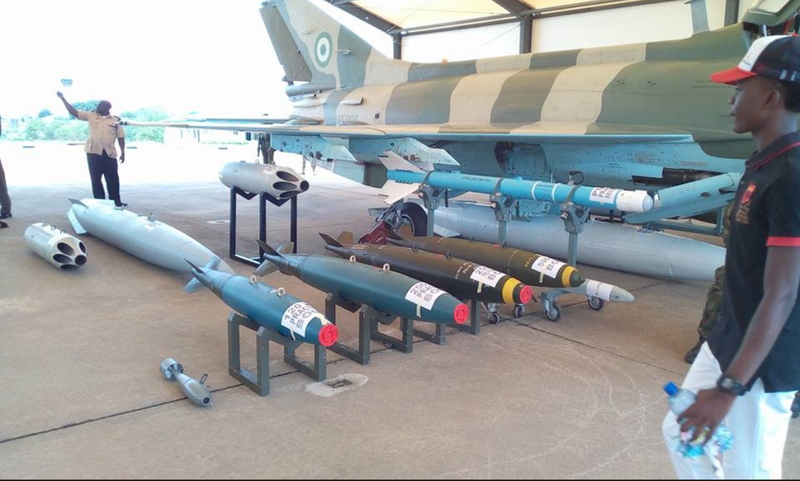 The remaining four has been used extensively for combat and reconnaissance missions in Nigeria’s northeast. 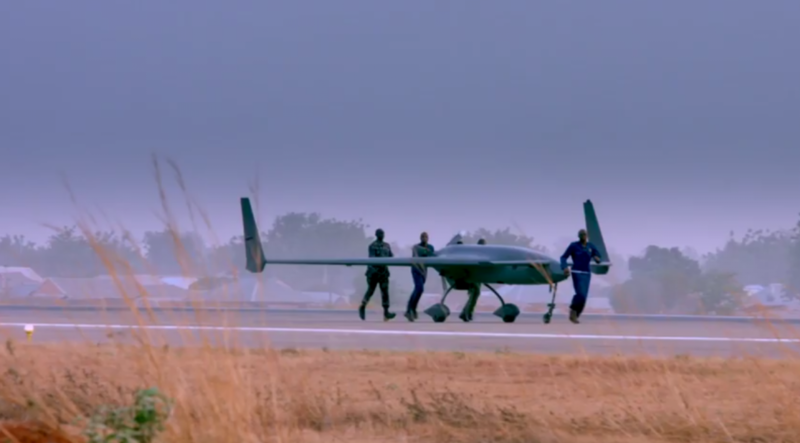 Lacking in advanced 4th Gen strike aircrafts the closest thing the Nigeria Air Force has to precision munition is its fleet of combat capable UAV’s. 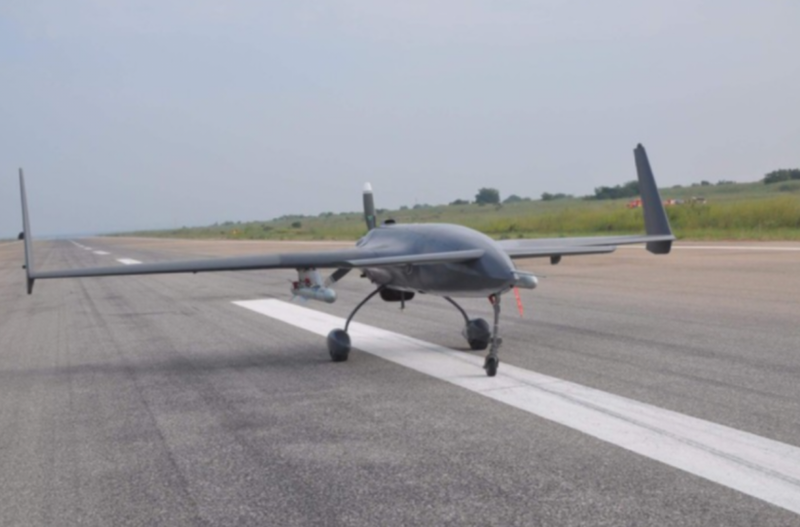 The attack capability of the CH-3 Drone allows the NAF to strike an area that it had been tasked reconnoiter. Once a target has been identified, the CH-3 can deliver a pair of guided missile ordnance, direct artillery fire or vector manned aircrafts to the target. The CH-3 Rainbow is easily the most versatile platform in the NAF inventory. 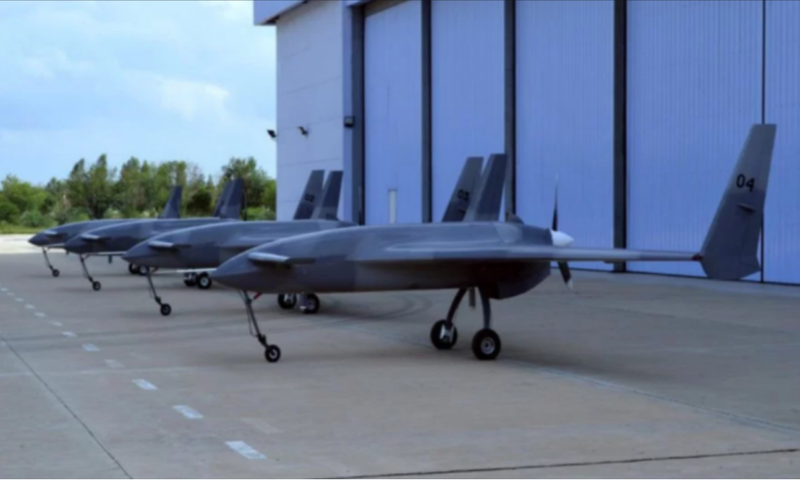 Nigeria’s fleet of CH-3 Rainbow drones assigned to the strike component of th NAF Reconnaissance Squadron. Taking the CH-3 Rainbow drone into launch position. CH-3 Armed with Chinese variant of the Hellfire missile takes off on a strike mission. 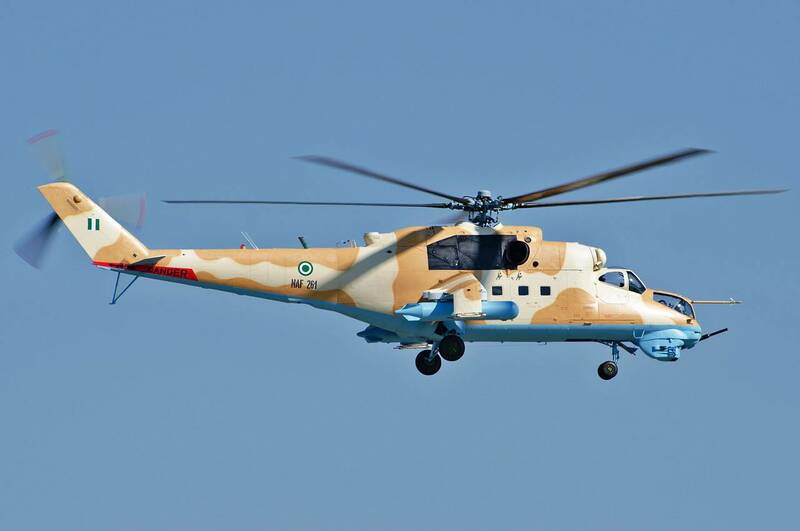 The NAF operates on of the largest helicopter gunship fleet in Africa. 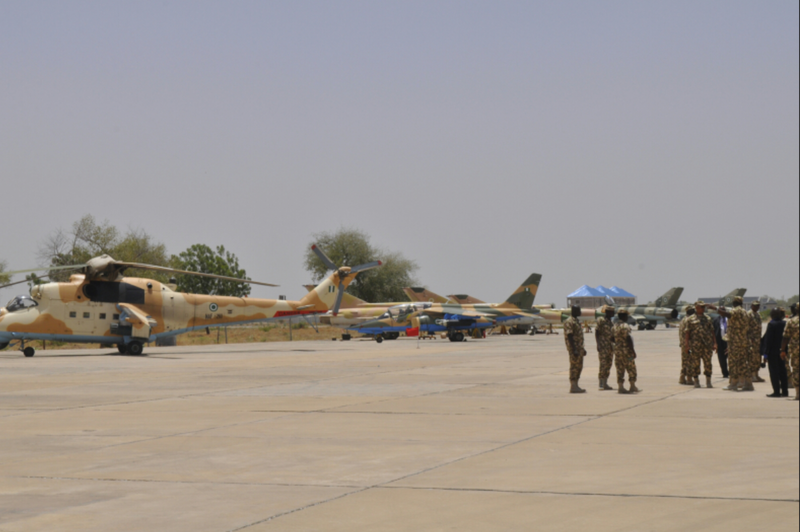 NAF MI-35 helicopter gunship and a complement of other strike assets at an airbase. 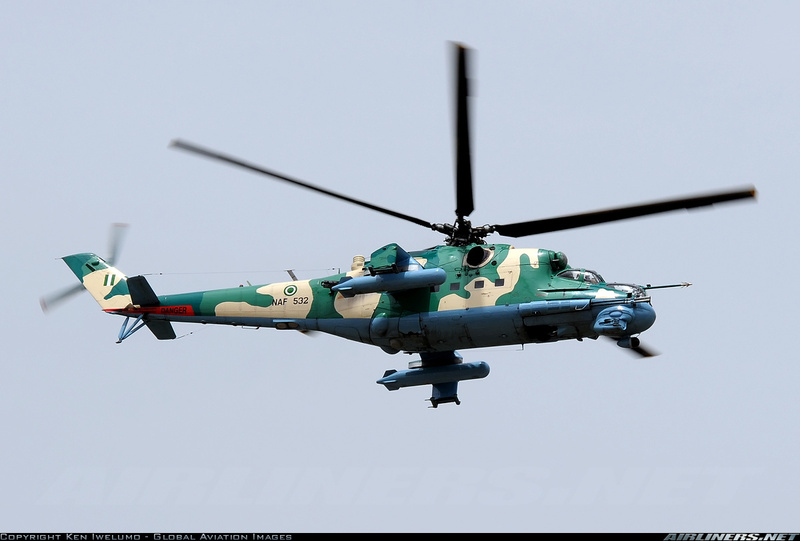 A NAF Mi-35 helicopter gunship. The Mi-35is an upgraded version of the Mi-24 series and features night attack capabilities. Weapons load on an Mi-35 attack helicopter. Mi-35 takes off for combat operations. The Mi-17sh is a military transport helicopter with secondary strike capabilities. 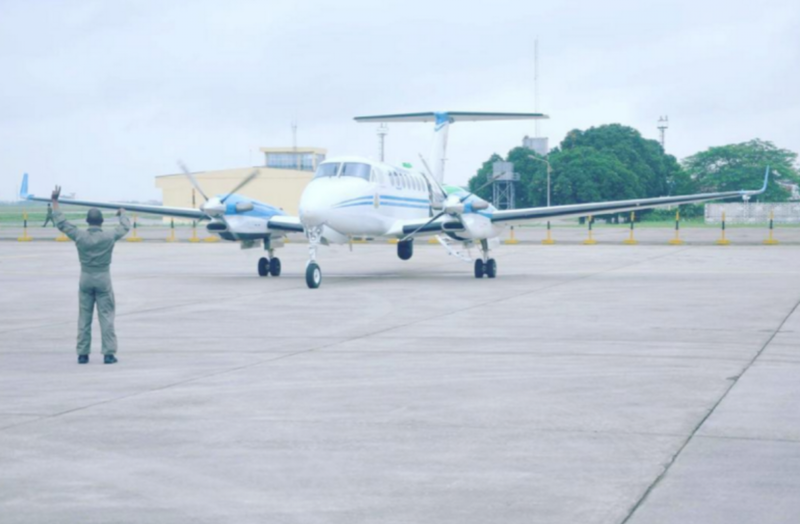 The remarkable versatility of this rotary winged aircraft has made it aMing the favourites for combat missions in Nigeria’s northeast. 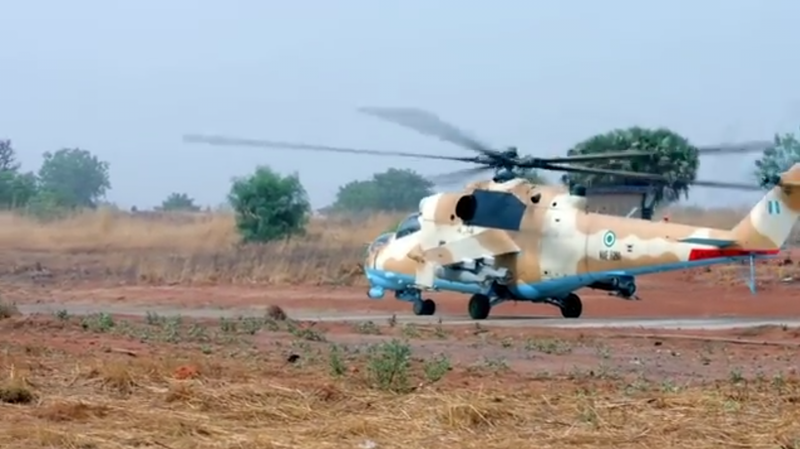 It is being used by the NAF to airlift its Special Forces troops, transport cargoes, provide close air support to ground troops, conduct air attack against ground targets and combat search and rescue. 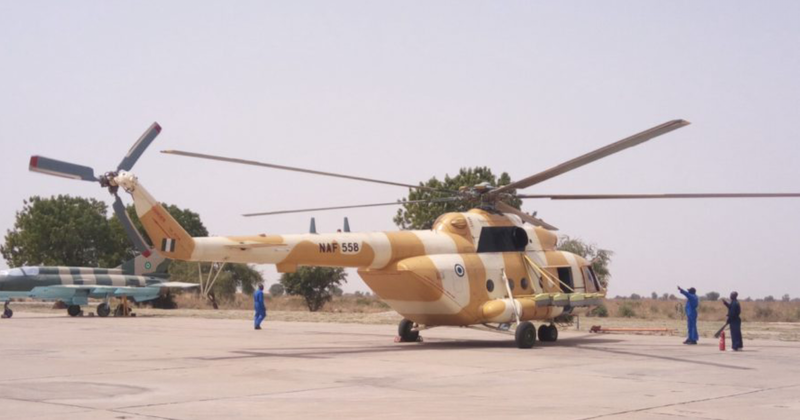 An Mi-17sh from the Tactical Air Command Maiduguri. 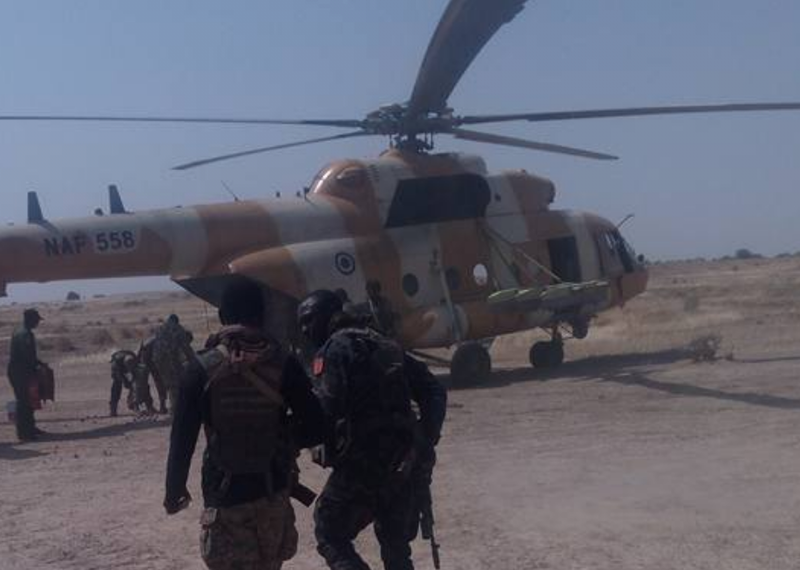 NAF Regiment (Special Forces) boarding an Mi-17sh for combat operations. 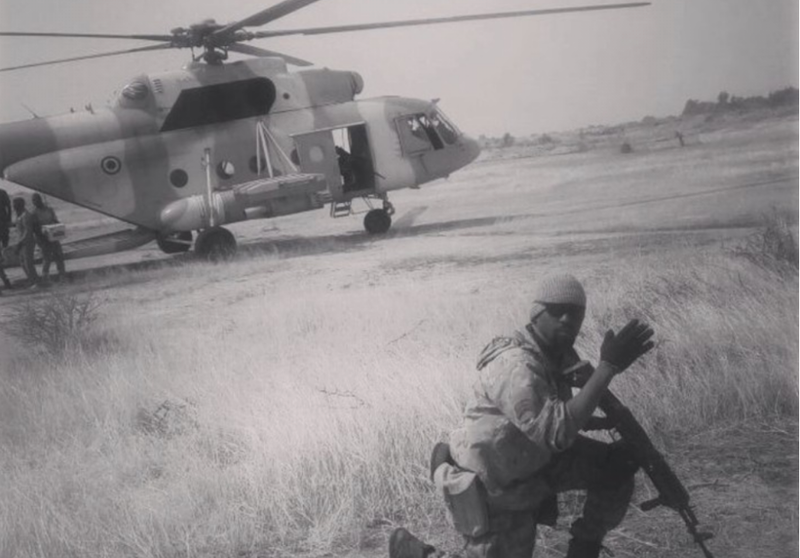 NAF Regiment inserted into combat. Desperate times they say calls for desperate measures. The import of this declaration was epitomized when the NAF converted the 403 Flight Training Group into a fully operational combat unit. 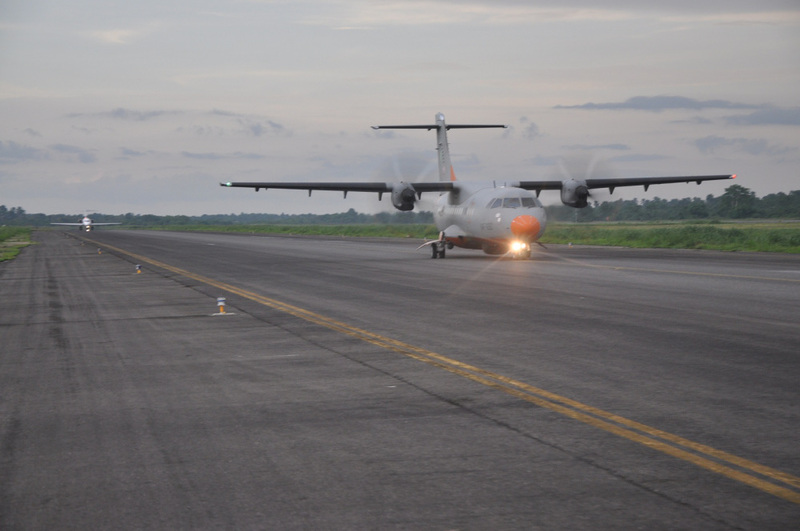 The Nigerian Air Force would spare no effort to support the efforts of the Nigerian Army. 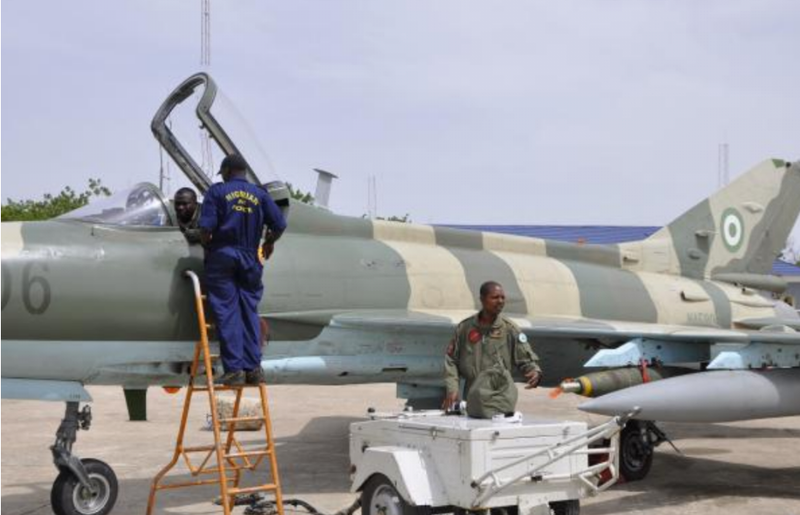 Nigeria’s entire fleet of L-39 aircraft was reconfigured to carry ordnance and rockets and deployed to 324 combat group in Maiduguri. Next Post Information Warfare : Nigeria Joins the Elite.